During the 2015 Budget announcement, the Chancellor, George Osborne revealed a new type of ISA, to be made available to the public in the Autumn of this year. The Help to Buy ISA is sure to be of interest to young people in particular, or to parents with children who are currently in the process of searching for their first home. So, just what is a Help to Buy ISA and how exactly do they work? 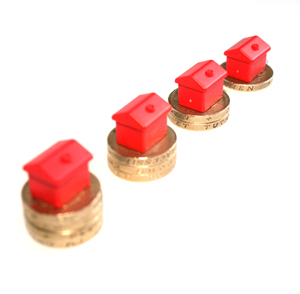 Like a regular Cash ISA, the Help to Buy ISA is a relatively short-term savings vehicle with a few unique features. Firstly, as well as earning interest on the ISA, at a rate set by the provider, the holders of Help to Buy ISAs will also receive a contribution from the government. This contribution is set at 25%, to a maximum of £3,000. To receive the maximum government contribution, therefore, individuals will need to save £12,000 into their Help to Buy ISA to reach a total savings amount of £15,000. The other unique feature is that the Help to Buy ISA savings can then only be used as a deposit on a first home, which is going to be the main residence of the account holder. Because of this tight control, the government’s 25% contribution will only be added to the account at the point it is converted into a deposit. There are other controls around the Help to Buy ISA that it is worth taking note of for those planning to use them for themselves or their family. Although the monthly contribution to the accounts is capped at £200 per month, savers will be able to boost their account with a £1,000 deposit when they open it. This measure has been introduced to allow people to save for the £1,000 figure now, with one eye on the account’s introduction in the Autumn. For anyone planning on taking advantage of this though, be aware: if you contribute to an existing Cash ISA, or set up a new one after April 5th 2015 but before the introduction of the Help to Buy ISA, you will need to wait until April 2016 to open your Help to Buy ISA account. This is because the Help to Buy ISA is classed as a Cash ISA, and tight rules around Cash ISAs only allow you to contribute to one account per tax year. Following their introduction, it is envisioned that the Help to Buy ISA will be available for four years, to anyone aged 16 or over. For savers who open their account during that period, there is no proposed limit on the amount of time they can save into them, nor on the timeframe for exchanging the accounts for a deposit and ‘cashing in’ the government contribution. The accounts are limited to one per person, rather than one per home, so a couple can save double the deposit and receive double the contribution. The savings can be used to purchase a home worth up to £250,000 or up to £450,000 when purchasing in London. This entry was posted in Investment Advice Windsor and tagged Financial Adviser, Financial Services, Investment, Investment Performance, Windsor IFA. Bookmark the permalink.